AMI Anti-Scale Filter Cartridges | Applied Membranes Inc. 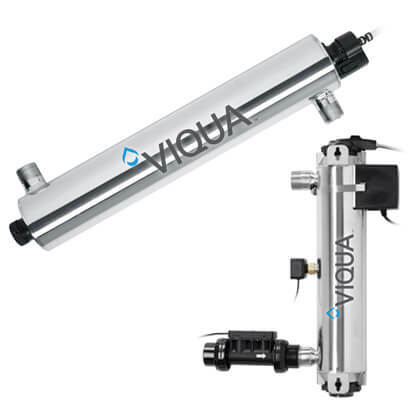 Prevent scale formation to improve efficiency and prolong the life of downstream equipment. The anti-scale media prevents scale by transforming dissolved hardness minerals into harmless, inactive microscopic crystal particles. These crystals stay suspended in the water and are passed to drain. The filters require very little maintenance, no backwashing and no salt. Typical hardness problems, especially build-up of scale in heating elements, pipes, water heaters, boilers and on fixtures are no longer a concern. 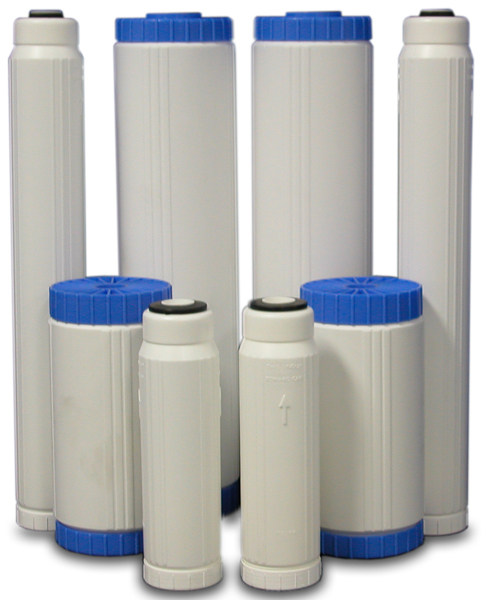 Available in 10” & 20” Standard and Big Blue Sizes, these filter cartridges will work in standard filter housings. Capacity: Anti-scale cartridges do not have a grain removal capacity, however, other contaminants present in the water will gradually degrade the effectiveness of the cartridge. Change the cartridge at least once every 12 months. Restriction : California Proposition 65 : This product contains a product known to the State of California to cause cancer.